Set with 114 super magnets! 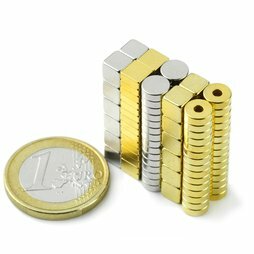 Purchased individually, these 114 magnets would cost almost twice as much - a bargain price! You'll receive the magnets well-protected in a vacuum-packed bag. You will see the power of these magnets firsthand when you cut open the bag with scissors - give it a try!